This is going to be like the MGS4 launch for DDR Fans. Konami has just released the first image of their new entrance into their Dance Dance Revolution franchise. 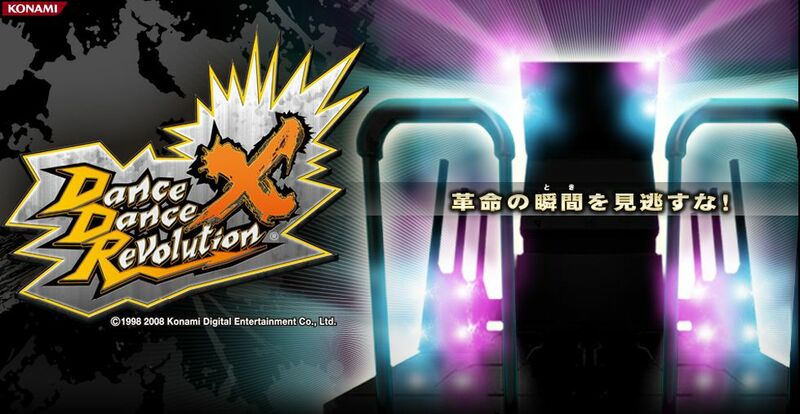 The new machine will be out on November 21st, and it’s official name is Dance Dance Revolution X. As of right now, the only details known is that those with PS2 DDR equipment will be included in the release. If you look at the above image, you may also notice that the DDR machine has a new shape. I just hope no one falls and impales themselves on whatever those things are in front of the pad (speakers?). 2008 marks 10 years of Dance Dance Revolution! It really doesn’t seem like it has been that long. I will keep you updated.